Kettlebell training is gaining popularity in the fitness world and for good reason. Kettlebell workouts incorporate a unique combination of cardio and strength exercises. Not to mention, you can conveniently create variations of your favorite kettlebell exercises to benefit from a more effective workout. If you have never seen a kettlebell before, this workout tool resembles a cannonball with a handle attached to it. It can be used for building strength, improving balance, agility and endurance whilst promoting weight loss. Kettlebells can be used by both men and women of all ages and fitness levels. Because of their shiny appearance and durability properties, vinyl coated kettlebells are gaining popularity. However, it is imperative you invest in a quality product that does not wear down. The Yes4All Vinyl Coated Kettlebell Set has been manufactured keeping quality standards in mind. Now you can conveniently work out with these superior kettlebells. These kettlebells are great for easing back pain and can also be used for building stability, power and strength. Additionally, the shiny vinyl coating prevents damage and results in a shinier appearance. The kettlebell can be used for cross training and group workout. This workout tool can be effectively used for MMA training, fitness workouts, home exercises and MMA training. Vinyl Coating - The kettlebell is constructed using cast iron and is encased in vinyl to protect your floor and reduce noise. The vinyl coating also protects the bell from rusting and reduces the risk of damage while exercising indoors. Solid Steel Handle - The kettlebell features a solid steel handle that ensures durability, resulting in a better experience. The textured handle is wide enough to fit both hands comfortably so you can perform exercises with both hands. Convenience - Fitness enthusiasts need not worry about investing in several kettlebell of various weights. This set includes a variety of kettlebells that will make your workouts more effective. Plus, you don’t have to worry about making additional purchases if you wish to try a heavier kettlebell. The kettlebells are available in different sets for your preference. Flat Bottom - The kettlebell features a flat bottom that is ideal for performing mounted pistol squats, handstands and other exercises that may require the use of a kettlebell with a flat bottom. Versatility - This kettlebell can be used for a variety of exercises, including cross training, fitness workout and home exercises. Anti-Rust Properties - The kettlebell features vinyl coating that has anti-rust properties. This ensures the longevity of the product and protects the floor. Ideal Workout - The kettlebell is made using high quality materials and is ideal for building flexibility and strength. This results in an effective full body workout. Suitable For Indoor Use - Because of its vinyl coating, the kettlebell is only suitable for indoor use. The Yes4All Vinyl Coated Kettlebell﻿ Set received an average rating of 4.7 stars out of 5 on Amazon. This indicates a majority of customers were satisfied with the product and left positive reviews. According to customers, the set is durable and is available at a affordable price. If you are a beginner in search of an inexpensive kettlebell, this is a good option for you. The kettlebell is effective for building strength, improving movement, power and agility. Customers also appreciated the kettlebells are wide enough for both hands. The texture of the handle offers a secure and comfortable grip, which prevents the kettlebell from slipping out of your hands. With this kettlebell, you won’t have to worry about getting blisters. Additionally, the material of the handle reduces the risk of slippage, allowing you to securely grip the kettlebell without any problems. However, a few customers complained the handle was too rough and can cause abrasions on your palms if you are not too careful. To avoid injuries, a customer suggested to wrap up the handles with an electrical tape to smoothen it out. The tape will also help reduce the shock of cold handles when you pick up the kettlebell for a workout. The kettlebell may have some problems but the low price tag makes up for it for most users. The Yes4All Vinyl Coated Kettlebell Set can be purchased on Amazon for a reduced price of under $145 (21% off with free shipping). To save a few extra bucks, consider looking out for promotional offers and discounts. You can also purchase the kettlebell on eBay, Sears and Wal-Mart. For further deals and discounts, you can check out Yes4All’s official website. The brand offers a special ‘deal of the day’ where you can purchase countless fitness products at a discounted rate with free shipping. Currently, this set is available on their website at a discounted rate of under $125. If you are a beginner, consider investing in a set of 3 kettlebells that will only cost you just under $45. Aside from kettlebells, you will also find a range of useful fitness accessories on the brand’s official website that will help make your workouts more effective. The brand also manufactures pet supplies, hunting and camping tools. Overall, the Yes4All Vinyl Coated Kettlebell Set is a great investment because of its insanely low price. 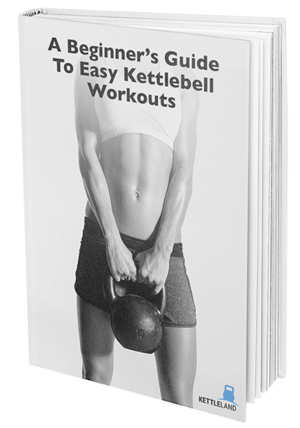 This product is best suited for beginners or people who simply want to practice kettlebell exercises. If you are on a limited budget, consider investing in a different set. To reduce the risk of injury, purchase a kettlebell that is of the correct weight according to your fitness level. The set might not be as durable as other kettlebells but you cannot complain because of its durable price.